Nahanni River, Nahanni National Park Reserve, and the great North. I love this time of year as winter gives up its grip on the landscape and signs of spring are in abundant evidence. I can’t wait to see the wild flowers pushing their way up through the damp, pungent earth and the buds and blossoms appearing on shrubs. At our Northern base on the Liard Trail in the Northwest Territories, one of my favourite flowers to enjoy every season is the foamy white blossom of the Labrador tea bush. More than simply talented musicians, the Jerry Cans bring heart and clearly articulated values onto the stage with them and into the communities they perform in. There is a significance to the music they offer. A non-indigenous lead singer singing his heart out in Inuktitut. A violin and a throat singer going note for note, beat for beat. The Jerry Cans do more than make me want to get up and dance. They give me hope. 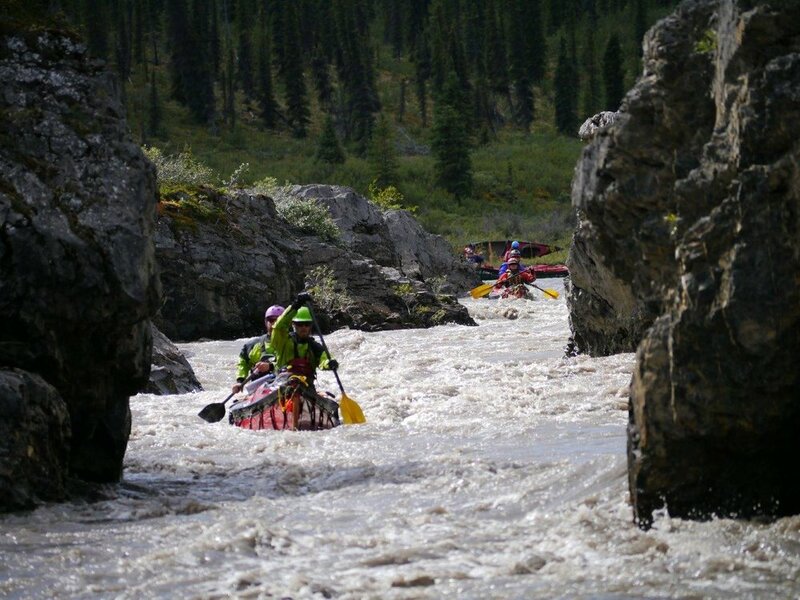 The classic South Nahanni River whitewater canoe expedition from the Moose Ponds is our most popular Nahanni Headwater expedition. 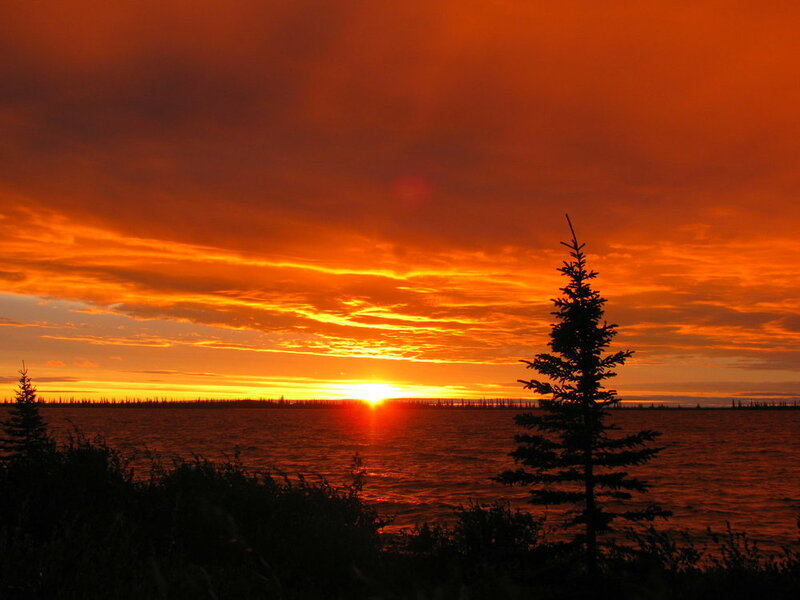 This trip takes place on the traditional territory of the Sahtu and Naha Dene and explores the entirety of the Nahanni River beginning in the newly formed Naats'ihch'oh National Park Reserve at the foot of the stunning Mt. Naats'ich'oh. Twenty years ago these majestic birds were a rarity on the Nahanni River. Known to nest in the Yohin Lake area, a cenote on the eastern edge of Nahanni National Park, these birds have recovered from the brink of extinction in the 1930’s. Hunted extensively in the 1800’s for subsistence and for their distinctive plumage Hudson’s Bay’s records show how their population plummeted in the course of only two decades. After decades of conservation, the population has now grown to close to 50,000 animals. As their population has expanded so too has a paddlers’ chance to interact with them. Over the last 200,000 years the Arctic has seen repeated glaciation. Each period has left its mark on the landscape we see today. Since the end of the Wisconsin Ice Age, the melting ice allowed the South Nahanni Watershed to host a thriving ecosystem. As the Nahanni River has carved its way through the valley its focused energy has left us with Virginia Falls and fourth Canyon, the first in the Canyon Kingdom. It is a scene of chaotic beauty, a reflection of everything around it. For those with the skills and the desire to facilitate their own adventure, one that could include dangerous situations like complex rapids, first aid response, and a variety of other variables, self guiding could be an option for you. — Allen B. Clarke, Fellow of the Royal Canadian Geographical Society.